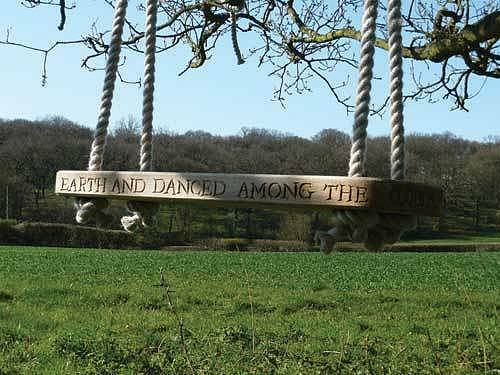 A swing to grow old with and to tell tales. 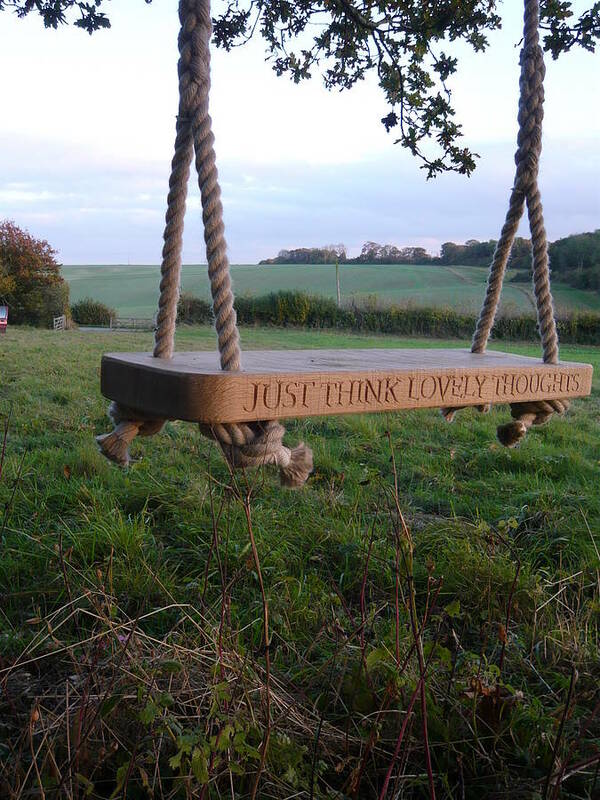 Marnie Moyle's hand crafted swing is made from solid English grown oak. Demanding minimal environmental impact the only finish Marnie permits is a scrubbed one. This enhances the timber's texture and begins to emphasise the nature and natural spirit of this fabulous material. 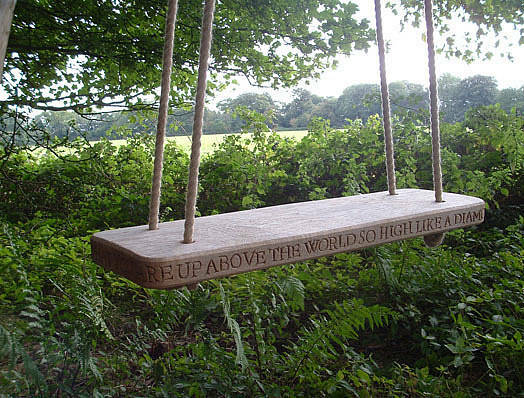 The rope is British naval rope and also has good longevity, but unlike the seat it should be reviewed after 7 years. All of Marnie's work for the garden was designed to require minimal maintenance, and to look simply as if it has always belonged. The work will silver perhaps, contort a little, maybe even split a bit; just as nature would have it. Marnie crafts her swings to order in her Downlands workshop. 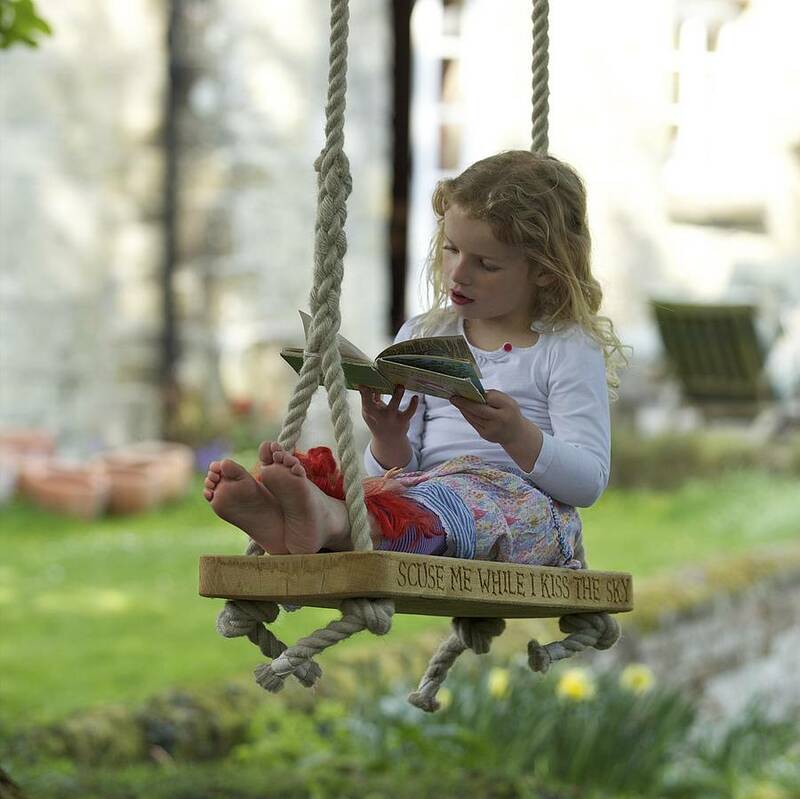 Waiting times may vary but she tries to keep the delivery down to two weeks from receiving the chosen words. During peak season this could be longer and Marnie will say during the course of enquiry.